This post was originally written for York Student Cinema. The long-awaited follow-up to 2012’s Avengers Assemble has finally arrived in the UK, a week before US release. Awkward press tours have been had, actor workout regimes have been discussed and premieres have been held. We finally get to find out the answer to the question hanging over its big, super-powered head: how can it possibly live up to its predecessor? Age of Ultron kicks off with an impressive opening shot that sees the camera pan between the heroes as they embark on a mission to take out the last HYDRA base. The action is spotted with Joss Whedon’s trademark humour, bringing out the increased sense of unity and camaraderie in the team since we last saw them. Of course, this is not to last. Tony Stark and Bruce Banner (Science Bros!) team up to try and create a peace-keeping force to keep Earth protected. It works, Earth is safe, the Avengers disband and Stark and Banner settle down to binge-watch Mythbusters on Netflix. Except that last part doesn’t happen and the scientists instead end up birthing a disturbed, psychopathic AI who will stop at nothing to obtain world peace by bringing about human extinction. It’s impossible to talk about Age of Ultron without comparing it to its forerunner. This film is bigger than the first Avengers film, and it fits an insane amount of plot, world-building and character development into its 141 minutes. One suspects that some hard decisions had to be made over cuts, and certain strands would have made more sense had they had more time to breathe. But the sheer scale and ambition of the film is tempered by the humour and the small human moments that Whedon is adored for. And while there is a temptation in today’s blockbusters to ‘go big’ and throw money at massive city-felling CGI battles (here’s looking at you, Man of Steel), there’s a concerted effort here to show the heroes going out of their way to protect civilians. It’s nice. Having had more than our fill of the tentpole characters, happily the focus is often drawn towards Black Widow, The Hulk and Hawkeye. Scarlett Johansson and Mark Ruffalo are both solid, building on their chemistry from the first film as their superheroic counterparts strike up an unlikely relationship. Hawkeye, Marvel’s most neglected Avenger, gets to stretch beyond his previous role as a convenient plot device. Jeremy Renner spent much of his screen time in Avengers Assemble possessed, and now we finally get to see more of his backstory (whether that’s a good thing or not is up for debate). Whedon has admirably tried to address the gender balance in Ultron by introducing the powerful Scarlet Witch (Elizabeth Olson) alongside her lightning-fast brother Quicksilver (Aaron Taylor-Johnson). Their powers make for a visually interesting contrast to the standard ‘strong guy’ powers of the other leads. The sketchily outlined abilities of Scarlet Witch include bringing trippy hallucinations out of other characters, which opens an interesting little window into the psyches of Earth’s Mightiest Heroes. An effort has also been made to tackle Marvel’s villain problem. With the exception of Loki, the studio has turned out a series of increasingly underwhelming baddies; a massive failure when villains are generally considered to be one of the most memorable parts of any great comic book film (see: The Dark Knight’s Joker, X-Men’s Magneto). AI Ultron is refreshing- delightfully unhinged, but with a believable origin story and clear motivations. He has inherited some of the wit of Stark, and is imbued with a deep voice that can fluctuate between comedy and malice, courtesy of James Spader. This individuality helps to differentiate him from the Sentinels, the other self-replicating robot force that recently caused havoc in X-Men: Days of Future Past. He doesn’t quite scale the heights of the best comic book villains, but he’s a massive improvement on what came before. The main problem, then, is the Marvel end-game. Age of Ultron will, of course, be followed up with 2016’s Captain America: Civil War. It appears that Tony Stark himself will be playing a villain of sorts, pitted against his former ally Steve Rogers in a political (and presumably physical) battle over the rights and liberties of superheroes. It’s a conflict that will force heroes to choose sides and decide between regulation and resistance. It seems like a step backwards to follow that up with a big purple alien trying to collect MacGuffins to destroy the universe. But Marvel has a good track record for working with talented teams. I think they’ll figure it out. Why Clooney is on top (and Depp needs to get a grip). 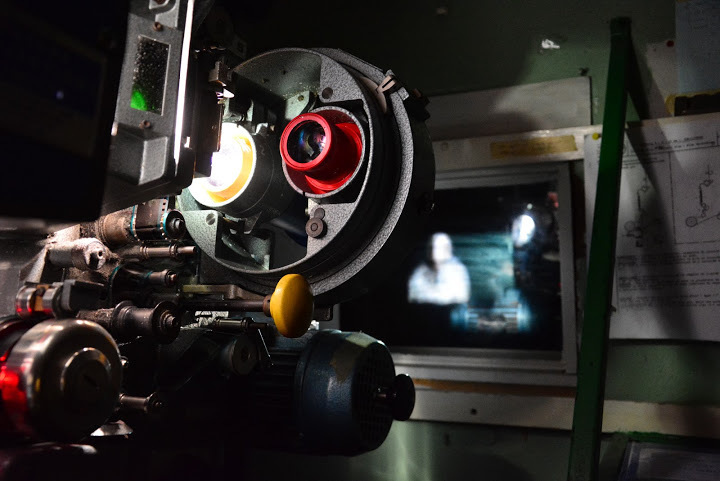 This was something I wrote for the Student Cinema blog at my uni (for those of you that don’t know, I’m learning to be a projectionist). As it’s been a while since I’ve put anything up here, I thought I’d transfer it over if you fancy giving it a read. It’s something I’m oddly passionate about. George Clooney has never been one to sit back and kick his feet up. Not content with being one of Hollywood’s most bankable stars, in recent years he’s also taken a step back into the less showy realms of writing, production and direction, to much acclaim. He’s the only person to have been nominated for Academy Awards in six different categories; Argo, the film he co-produced with Grant Heslov and friend Ben Affleck, won Best Picture in 2013. He has also been known to take pay cuts to get smaller films made, most notably for The Descendants, the Hawaii-set family drama for which he got a Best Actor nomination (and he’s rumoured to keep a picture of himself as Batman on his office wall as a sorry reminder of what can happen when he makes a film purely for the money). I could say more. I could tell you that George is an advocate of gay rights, and refuses to dispel rumours about his sexuality: “I think it’s funny, but the last thing you’ll ever see me do is jump up and down, saying, ‘These are lies!’ That would be unfair and unkind to my good friends in the gay community”. I could add that he had a punch-up with David O Russell (of Silver Linings Playbook and The Fighter fame) after getting fed up with the celebrated director mistreating and talking down to his crew. Or that he was arrested for taking part in a demonstration outside the Sudanese embassy to raise awareness of the escalating tensions between north and south Sudan. I could. But that would just be gilding the lily. General loveliness aside, let’s compare his recent career trajectory to that of one of his few superstar contemporaries, Johnny Depp. While Clooney has been soaking up praise after starring in what has unanimously been described as one of the best and most technically innovative films of the year, Gravity, Depp’s wannabe-blockbuster The Lone Ranger dramatically flopped. Not only that, but when critics declared it a stinker he was arrogant enough to put it down to lazy journalism. Johnny, I love you but you’re not above criticism. Can we get back the fearless J. Depp of Donnie Brasco, Edward Scissorhands, Benny & Joon? Heck, I’ll even take Chocolat! Instead, a quick flick through his upcoming film roster throws up some vaguely uninspiring stuff including additions to both the Alice in Wonderland and Pirates of the Caribbean franchises. I’m as big a fan of Cap’n Jack as the next person, but he really needs to step up his game before people get fed up with his big-budget kooky schtick. Clooney could easily have fallen into the same trap. He could rely on his old ER fanbase, effortlessly coasting on his famous charm and good looks, snapping up the jobs with the biggest pay packet and refusing to step outside his comfort zone. To the contrary, it seems that he has one very simple ambition: to make good films. And he does. A man with passion, talent and drive? I know who I’d want to be stranded with in space.